Runs free software and business events in the area. Their online community is the largest in the region. 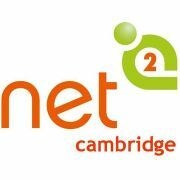 Free monthly events for people in the Cambridge area interested in the web or mobile technology for social good. Developer! Developer! Developer! East Anglia is a event in the series of Developer Days events for the UK .NET Community. East of England's leading conference on Cloud Computing & NoSQL. OWASP Foundation is a professional association of global members interested in learning more about software security. Group of technology professionals in the Cambridge area. Our objective is to share knowledge and best practice of our trade. Bring people together to share ideas, encouraging collaboration & partnership. Working to engineer a better world. Inspired, Innovative, Informed: that's the Cambridge Technology Community. Local network of User Experience practitioners in Cambridge. Provides the creative industries of Cambridgeshire with a credible regional, national and international profile. Multidisciplinary meetup group for people interested in generating insights from data. Continuous professional development for Developers & Data Scientists.